Wake up every morning in paradise inside a magnificent Mansion with the all inclusive amenities as you would have in the larger resort. You and eleven of your closest will have a once-in-a-lifetime vacation with all of the houses' private amenities plus CHIC's Diamond Club privileges to enjoy the resort section. Staying in this Mansion comes with luxurious round-trip airport transfers, butler service, exclusive private Chef experience, private pool cabana with attendant, a Day Pass to Royalton Punta Cana with transportation to enjoy the water park and even a complimentary spa treatment for each person staying in the house. 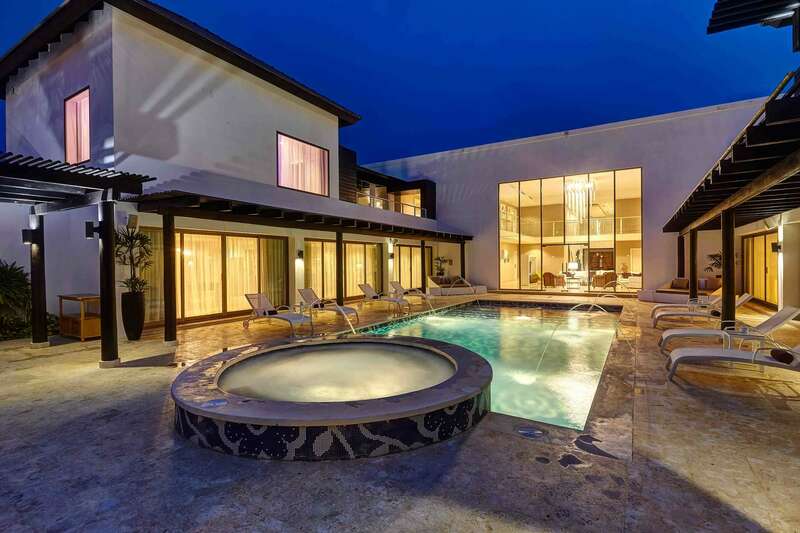 The CHIC Mansion has its own private pool, hot tub, patio, sound system and games room with a pool table plus the all-exclusive CHIC Punta Cana resort right outside the door! • All Diamond Club amenities and inclusions. • One round trip transfer to Punta Cana Airport. • Use of mobile phone for contact with butler. • Private sunbed with VIP attendant. • One day pass per stay to Royalton Punta Cana Water Park with transportation. • One 30 minute spa treatment per person per stay. • Free transportation and 50% discount on greens fees at Punta Blanca Golf Course. • Personal Chef experience dinner at the Mansion (one per three night stay).